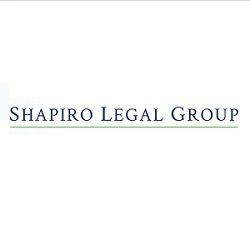 Shapiro Legal Group - Shapiro Legal Group serves clients in the greater San Francisco Bay Area with personal injuries and wrongful death claims for their loved ones. Shapiro Legal Group serves clients in the greater San Francisco Bay Area with personal injuries and wrongful death claims for their loved ones. Attorney Jacob Shapiro has been counseling and representing his clients for over 17 years in all areas relating to personal injury. Mr. Shapiro provides excellent customer service because for each client their case is the most important. You will receive honest advice and the help you need. Do not try to deal with insurance companies or adjusters on your own. We can help you avoid making common mistakes so you obtain the justice you deserve. If you give a recorded statement to the insurance company, if you do not obtain medical treatment right away, if you have gaps in your medical care, if you do not preserve important evidence, if you fill out a form that you should not or fail to fill out a form you should, then your legal claim or the value of your recovery could be dramatically affected. Mr. Shapiro will be there every step along the way in the claim or legal process to help you avoid these common mistakes. Personal Injury Lawyers Rueb, Motta & Manoukian represent clients in the greater San Francisco Bay Area, including Oakland, Concord and San Francisco. Nehoray and Drake, LLP is an estate planning law firm in Calabasas, CA. We are dedicated to providing our clients the knowledge and resources needed to protect their loved ones, estates and assets. The attorneys of Hoyer & Associates represent clients in employment litigation in the state and federal courts of the San Francisco bay area. We are committed to making a difference in the lives.